An excellent contribution that I haven't seen approached before for DLS. 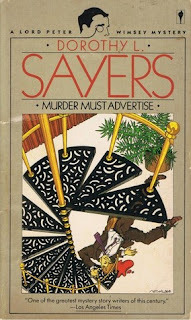 At least Lord Peter worked barely within the law, even when offering criminals the choice of an expiatory suicide ... in one of the early Philo Vance novels, Vance tricks the murderer into drinking his own poison and remarks, paraphrasing, that he's saving the state the expense of a trial. That sort of thing did happen, especially in the earlier GAD novels. Quite bizarre, really. There were also various accidents and, of course, suicides real or virtual, that "saved the state the expense of a trial". I wonder if it was a way of not making readers think too deeply about the consequences. Crofts didn't mind them, of course. But Wimsey actually sets himself up as jury and judge, which is interesting. Brilliant post. If there was a like button I not only would have pressed it but then demanded where the love it button was. Great topic for discussion, which as Noah says hasn't really been done before. This post reminded me of an article I read to help with my own TNB post, which was 'From Detective Fiction to Detective Literature: Psychology in the Novels of Dorothy L. Sayers and Margaret Millar' (2007) by Kelly Connelly, as she too touches on the guilt Lord Peter Wimsey experiences as a detective and how this causes an identity crisis within him, which in turn undermines the heroic status of the detective. Looking forward to your post next week. Very interesting. 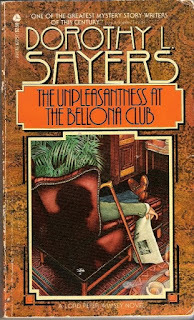 I have just re-read Bellona Club, and was surprised by the ending - leave him alone in the library to write his confession, with a loaded gun next to him - because it seemed such a cliché from an earlier era of thrillers. It seemed a very un-Sayers end. Reading your piece made me see why I was unhappy with the ending. I have mixed views on Bellona Club. On the one hand it is, in my opinion, the best plot in all Sayers books - works well and the detection is clear and logical. 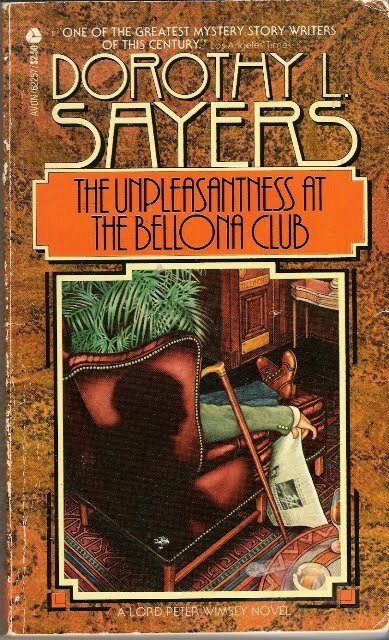 I particularly like the point about the poppy, which makes Wimsey realize that the general had not left the club on the 10th. It's also an interesting historic point about poppies. Clearly in the twenties nobody wore them until the day itself. On the other hand, I think the Fentiman brothers are obnoxious and their assumption that the money that has no link to them at all should be theirs by rights is bizarre, especially as nobody ever contradicts them. 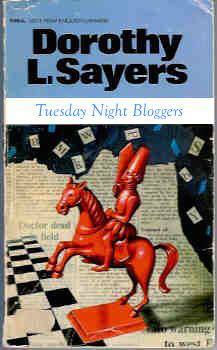 The attempted happy ending sounds false, I am afraid, and the Ian Carmichael series was right to drop it. Then there is this odd "execution" because if the man fights his case and points out that there is no evidence to prove his guilt he will drag a very nice girl who is a bit dim through the mud. This is a terrific post, Helen! And as Noah mentions, I don't believe I've seen a similar examination of the books. Very interesting look at Wimsey's involvement and reaction to the punishments meted out.